Calypso's not quite human. Although Spencer and Alicia don't know that when they rescue her from the sea, Calypso hides her true identity from her new friends. But she can't forget about the sea. They called her Calypso. It wasn’t like she could tell them. No matter how much she despised her situation, she wouldn’t allow herself to misuse her voice, so she was Calypso. They gave her human clothes that itched and suffocated. She wished for the freedom of the seas. She wished for the sea where she wore her own clothes that didn’t have a faint smell of bleach imbued in them. But she didn’t say a word. They gave her a room with a bed and its own bathroom. A gallant gift, but she knew that this wouldn’t give the privacy she craved or the sea she pined for. These humans wanted to keep her close, and she was hardly ever left alone. She wanted to cry, but she wouldn’t give the humans her tears. She was too proud. Calypso was drowning in the dry air, in the human luxuries, in the attention. All she wished for was her seas. Calypso hadn’t seen the sea in so long. She was starting to forget the ripples brushed against the rocks or the patterns of coral clustered across the seafloor. Calypso was even starting to forget the ever-present scent of salt and brine that filled her nostrils. Sighing, Calypso swung her legs. Such odd appendages they were. She still couldn’t understand why the humans prized their legs so much. They were not equipped for swimming at all. No flippers, not even gills to breathe. But then, Calypso mused, humans didn’t need gills to breathe their dry air. It was so light that she had not trouble breathing even though her gills had faded away along with her glorious tail. She could still remember the day so distinctly like fate was trying to punish her by forcing her mind to replay the catastrophe over and over again. It was a routine day. Calypso had gone out to visit with the dolphins and whales who preferred to hover closer to the surface. Everything was absolutely normal; that is until the ship arrived. Now, to call it a ship would be like calling a krill a whale shark. The boat was small, perhaps twenty feet long and less than ten feet wide. In her days, she’d seen ships with sails that pierced clouds, cruise ships that would take hours to swim around. Even ships that went into her sea world although Calypso was always careful to stay out of their way. There was no reason to be foolish and get caught. Yet get caught was exactly what happened to her that day. It was not even her fault. At least, she didn’t think so. One minute, Calypso was eyeing the approaching boat, and the next, she was floundering in the water. She tried to flick her tail, but it wasn’t cooperating. Painful cramps crept up her tail and filled her whole body till all she knew was pain. Faintly, she could feel the creatures trying to hold her up, but it didn’t distract Calypso from the much more devastating change happening. As the cramps faded, she gasped for air and immediately choked on a mouthful of water. Calypso struggled to kick up to the surface, but her tail wasn’t working. In fact, she didn’t even feel it anymore. Horror crept over Calypso as she looked down to confirm her suspicions. Two pale limbs extended from her torso where her tail had been mere moments ago. If she had any breath left, Calypso would have screamed. As it was, Calypso felt her vision spotting. While she drifted towards the seafloor, the surface grew farther and farther away. Calypso gave into the encroaching blackness as a violent jerk sent her spiraling up, up, up. Later, she would wake to a murmur of voices stretched out on soft material. Her head was still spinning. When she sat up, a wave of dizziness passed powerful enough to almost knock her to the ground. A hand steadied her. Attached to the hand was an arm, a shoulder, a neck, a chin, a mouth, nose, and finally, she met eyes. They were a shifting brown like sand when a wave kicked it up, dull in some parts with flecks of dazzling light. “Are you all right?” His voice was strange, too low, too rough. She nodded without a sound. To use her voice now would be a mistake till Calypso could figure out where she was. “She’s awake!” This time, his voice was much louder, and despite her effort, Calypso still winced at the sound. The human appeared to be upset. His forehead crinkled into little lines, and his mouth sagged. “Was I too loud? Did it hurt your head? I’m sorry about that, I wasn’t thinking.” The human rambled on, but Calypso merely tuned him out with a slight nod. It was a bit easier to handle his voice the third time, but it was still much too coarse for her liking. “Don’t scare the girl away, Spencer. She’s probably scared enough without you yakking her ear off.” This was a new voice. Much higher than the human boy in front of her with the same coarse undertone. A human girl appeared at the human boy’s—Spencer by the sound of it—side. She wore few clothes like Spencer with a bit of clothing covering the top end of her legs and her torso. A dark braid wound its way down her shoulder like a thick strand of seaweed. The human girl extended her hand, and Calypso stared at it. What was this human expecting of her now? Name? She didn’t have a name, at least not a name the humans would understand, so she just shook her head. “Is she mute?” Alicia whispered to Spencer. Calypso furrowed her brows. Did the humans not remember that she was sitting right there? Humans were denser than she’d ever realized. Alicia let out a melodramatic sigh then let her attention drift back to Calypso. “How about we get you some clothes,” Alicia suggested. Alicia turned away and started to walk but noticed that Calypso hadn’t moved. Spencer jumped to his feet and held his hand out. “Do you need a hand up?” His tone was much kinder. Hesitantly, Calypso took his hand and placed her new legs beneath her. Pushing up, Calypso found herself standing. She was still eye to eye with Spencer, but Alicia was much shorter than she’d thought. The first step almost sent her crashing to the ground, but she persevered. Two steps, three, four. Calypso was almost to Alicia now, and her legs hadn’t given out again after that first step. Alicia led her deeper into the maze of tunnels and spaces. Calypso wondered if this was Spencer and Alicia’s home. The walls and ceiling were very different from the rough sea rock Calypso was accustomed to. And, the floor was smooth and level, not at all like the jagged rock Calypso knew. Looking back on it, Calypso was thankful for those flat floors. Walking on sea rock would’ve been an uncomfortable experience with her soft human feet. Alicia took Calypso to space with a large object dominating most of the open space. Curiosity piqued, Calypso walked over to it with measured steps. Poking it, Calypso found it to be rather squishy. Calypso poked it again and smiled. Finally, something that wasn’t hard and uncomfortable in this strange world. Alicia’s voice distracted Calypso with its pitchy tone. “I have a shirt, and these shorts with probably fit…” Alicia’s voice trailed off. Calypso looked up to see Alicia watching her. Alicia’s eyes were narrowed, and it reminded Calypso of the expression on Spencer’s face earlier. “What’re you doing?” Alicia’s voice held a note that Calypso hadn’t heard before and couldn’t quite recognize. Calypso shrugged and backed away from the squishy object. Alicia thrust some clothes into Calypso’s arms, but Calypso stared back at Alicia. Calypso didn’t know what to do with these human garments. “Oh for goodness sake!” Alicia exclaimed. “Here.” Alicia led Calypso to a new space. “You can change in here,” she said. Calypso walked into the space clutching the clothes to her chest. “Don’t forget to close the door!” Alicia’s shout followed Calypso into the space. Quickly, Calypso shut the thin board that she assumed was a “door”. When Calypso turned around, she found herself staring at a reflection of herself. It was clearer than any other reflection Calypso had ever seen before. Limp pale hair hung around a narrow face framing vacant eyes. Her reflection was clutching clothes to herself which fell from her arms. The thud did nothing to distract Calypso from staring at herself. Reaching up a hand, she felt the sides of her neck. Her fingers found smooth skin without even a hint of gills present. That explained why she hadn’t been able to breathe before. Looking down, she eyed her new legs. They were as pale and strange as they were in the water. Calypso looked at the pile of clothes on the floor before picking them up once more. Now how exactly had Alicia been wearing her clothes? The days wore on in and endless whirl of unknowns and strange human habits. Calypso was far away from the seas, and she’d never been more homesick for the water. She’d hardly even seen the sea, and she’d been far more restricted as time went on. The humans didn’t trust her; Calypso knew they didn’t. Yes, they would smile and try to understand Calypso, but that didn’t mask the frustration fizzing behind their eyes when she refused to speak a word. That didn’t stop the meaningful looks whenever Calypso didn’t understand one human habit or another. Those looks had happened quite a few times. “Calypso!” It was Spencer yet again. Better than Alicia, she mused. Alicia seemed to have some sort of loathing for Calypso that Calypso couldn’t quite pinpoint. Calypso turned her head to where Spencer was standing. She’d hoped that the space they’d given her—which she now knew to be known as a “bedroom”—would be private from prying eyes, but no such luck. “There you are!” Spencer always had that easy grin on his face. She gave him a tight-lipped smile in return. Not to be perturbed, Spencer strode over to where she perched on the edge of the bed. His arm was awkwardly behind his back like he was holding something. “I got you something.” He pulled his arm out to reveal a slim black notebook with a matching pen. Calypso looked from his hand to his face. What did he want her to do with the notebook? It wasn’t like she could write like the humans. Calypso gave him a slight nod. He was so eager, and she didn’t want to hurt him. She’d have to find a different way to communicate than writing. He handed over the notebook and pen, and Calypso flicked the notebook open. She was faced with a creamy white blank page. She yanked at the pen cap and managed to pull it off. Clumsily holding it in her hand, Calypso scrawled across the page. As her line grew longer, her smile grew larger. It wasn’t too different from drawing in the sand although these lines wouldn’t be washed away by a sudden wave. She flipped to a clean page and drew. She was so caught up in her drawing that she didn’t notice the bed sink as Spencer sat next to her. All she knew was the page, the pen, and her hand. Time felt fluid as she drew. Once she finally drew her hand away, she was surprised to find it twinging a bit with pain. Calypso cradled it in her other hand while examining her drawing. It was the shore in black and white. She’d watched it for years and would know it anywhere. “Is that Half Moon Beach?” Spencer spoke up. Calypso jumped not realizing he was so close. He was focused on her drawing. Calypso frantically nodded her head. To go back to the sea, Calypso could hardly imagine it. The entire ride in the human metal object felt like it lasted ages. Calypso strained her eyes for any sight of her beloved sea. Finally, finally, they rounded a corner and the sea spread before them. Before the object could even stop, Calypso was stumbling out and sprinting for the sea. She slammed to a stop just before the waterline. Closing her eyes, Calypso inhaled the salty air. Her toes squished in the soft sand as Calypso thought she might die from delight at that moment. Her eyes flew back open at the sound of a slam, but it was only Spencer and Alicia getting out of their large object. She turned back to the sea. Every fiber of her being yearned to be one with the sea once more, but Calypso hesitated. Last time she’d been in water, her gills and tail had been replaced with legs, and Calypso nearly drowned. Then, farther out to sea, Calypso spotted a silvery fin slicing through the water. More joined the solitary fin till a pack of fins neared the shore. Maybe thirty feet from where Calypso stood, the fins exploded in a spray of white as a pod of dolphins arced through the air. They were welcoming her home. Calypso could feel it deep down. It was all the encouragement she needed. The water splashed all over her as Calypso slogged into the waves. As one particularly large wave crested towards her, Calypso smoothly dove beneath it and was under. She was careful not to inhale, but she did open her eyes. It was just as she remembered. Everything tinged the shifting blue-green Calypso could never assign a specific color to. As she swam out further, Calypso felt her body tingling. Her legs twitched, and she shot to the surface. As her head broke out of the water, she felt the painful cramps take over her body once more. But it wasn’t quite as bad this time. Perhaps Calypso was getting used to the pain. Either way, she was still thankful when the pain faded away. Her eyes opened once more though Calypso couldn’t remember shutting them in the first place. She let in a breath and was delight to find that she was breathing the water like normal. Her fingers found her neck and brushed against the rough tissue of her gills. Calypso then looked down to see her shimmery tail flicking away beneath her. Calypso flicked harder till she was speeding towards the surface. She exploded like the dolphins had in a wild spray. A shout found its way into Calypso’s ears mid jump. Her head twisted to the side as she smacked the water. Surfacing once more, Calypso stared in shock at Spencer and Alicia standing on the shore. Spencer had been the one to shout, but they were both clapping wildly. Calypso swam closer till she was just beyond the shallows. Spencer waded out closer as Alicia followed behind. Calypso gave him a slight smile as Alicia spoke. “But how is it possible. Mermaids are myths,” she complained. Calypso laughed. It felt so good to laugh again. “You can talk? I thought you were mute.” Alicia’s tone was no less distrustful. “What’s different now?” Alicia was now backing away. Calypso shrank away. He wasn’t planning on bringing other humans, was he? “You can’t tell anyone,” Calypso’s tone left no room for question. With that, she spun and slapped her tail against the water soaking Spencer and Alicia from head to toe. Calypso sped for the depths as more and more creatures joined her. In a fluid movement, she leaped out of the water and could hear in the distance two cheers rise in the air. Perhaps human were smarter than she gave them credit for. Either way, Calypso was glad for the experience in a way. If anything, it had opened her eyes to a whole new world. Perhaps that was why Calypso had become human. Perhaps it was so she could meet Spencer and Alicia. Perhaps, but Calypso was tired of speculation. A strong sweep of her tail sent Calypso farther into the depths. She was home, finally. A really well-written story. Well done! Thanks! I tried to make Calypso's POV different from a normal human's. I may come back to the idea, but for now I have too many other ideas in my head. 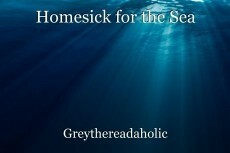 "Homesick for the Sea"is a short story that details a mermiad's sojourn to the surface world, albeit unintentional and unwelcomed, and her return to the sea. 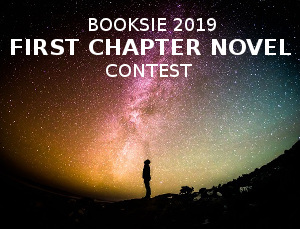 The story is written in third person, though it is effective in capturing the protagonist's point of view via descriptive imagery and a stream of consciousness writing style. The story is well written with a few grammatical errors that are easily corrected and many of which are minor. The story contains a similar theme as that of the short story, "Worth It", which is written by the same author in that it deals with a journey that comes to completion when the protagonist returns to her home in the sea. In "Worth It', the journey and its subsequent completion appear to be both literal and metaphorical. In "Homesick for the Sea", the two seem to be primarily literal. In "Worth It", the journy was purposeful, while in "Homesick for the Sea", it was adventitious. The story is well written with some grammatical mistakes, one of which occurs throughout the story and serves to disrupt its fluidity. This particular error has to do with noun-pronoun usage selection. At several points, the protagonist's name, "Calypso" is used where the use of the pronoun, "she" would be more fitting. For example, in the third sentence of the fourth paragraph, the authoruses the protagonist's full name after using it in the first sentence of the very same paragraph. In this instance, the protasgonist's name can be replaced with the pronoun, "she". This occurs in several paragraphs and the protagonist's full name is overused throughout the story. In the first paragraph, the preposition "like" should be replaced with "as if" because two independent clauses are being combined to form a complete sentence. The second sentence of the third paragraph should be interjected with the pronoun "her' as an indirect object to the verb "wouldn't give". In the fourth paragraph, the linking verb "was" should be "were" because it references the indefinite pronoun "all", which refers to "seas", which is pluralized in this sentence. Also, "for" is a preposition that is being used at the end of an independent clause. This sentence could be rephrased to read "All she wanted were her seas". This alleviates the issue of ending an independent clause with a preposition. In the fifth sentence of the sixth paragraph, it's implied that "gills" is something that one breathes. Here, it's being used as the object of the infinitive phrase, "to breathe". The sentence could be reworded to read, "Not even gills with which to breathe", so that the word is positioned as the predicate nominative of the demonstrative pronoun "there". The first sentence of the sixth paragraph uses the preposition 'like" where the coordinating conjunction "as if" would be more appropriate and the linking verb "was" should be changed to "were" because it's in the subjunctive mode. Not sure about the use of the semicolon in paragraph seven. There is a phrase in the eighth paragraph that reads, "Even though ships that went into her sea world although Calypso was always careful to stay out of their way". This sentence is unclear as it is written here. The first part of the sentence seems to be an adjectival phrase that pertains to the subject of the previous sentence, while the second part of the sentence beginning with the word, "Calypso was always careful..." stands by itself and makes complete sense. The first part of the sentence that begins with "even the ships..." should be added to the previous sentence and deleted from the current one. The second word of the ninth paragraph, "get" assumes the a verb in the present tense, when, indeed it is in the position of a verbal that is the beginning of a gerund phrase and the term "getting" should be used instead. There are a few other minor grammatical errors, but the story is well written overall. It falls within the category of fantasy, but aside from there being a mermaid in the story, there are few elements of this literary genre evident in the story. Be that as it may, what the story lacks in the use of fantastical elements it is equally compensatory in its development of literary elements such as plot, theme, and characterization. The reader gets a feel for the characters and the plot has a tight script. The strory does stay on point with respect to its premise. It depicts ordinary people who encounter a extraordinary situation that leads to a journey of discovery. In many aspects, it presents as realistic fiction, other than the presence of the mermaid and its formula could be applied to any situation in which individuals from different cultures, environments, races, religions, etc. meet for the first time. I would have liked to see more conflict and turmoil between the characters, but the story does an effective job in capturing the experience nonetheless through effective writing and good storytelling. As in her previous work, "Worth It", Gerrythereadaholic" brings the story home. Thank you for another detailed review! I'll definitely be going through the story to take what you said into consideration. I'm glad you liked it as well!